As an insurance loss specialist, Texas State Roofing Company, LLC. is fully qualified to work with insurance companies to satisfy storm claims for damages. Texas State Roofing Company, LLC. 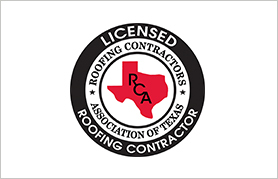 is a registered and licensed contractor by The Roofing Contractors Association of Texas. 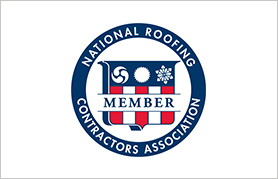 This association requires that roofing contractors go through a rigorous screening process before they can become licensed. Texas State Roofing Company, LLC. is familiar with Homeowner’s policies, damages caused by hail, wind, and hurricanes and the requirements each insurance carrier has for a roof to be totaled and therefore replaced. 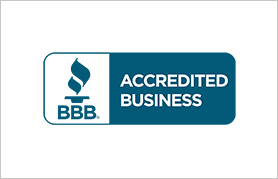 We have established relationships with many insurance adjusters, and have gained their respect. The protective coating on composition shingles is the granular surface. When hail (3/4″ to 2″) strikes a composition shingle it damages this protective surface, and in some cases the asphalt coating, as well as the glass mat. Wood shingles and wood shakes are punctured and or split and metal accessories are dented. Skylights, A/C vents, siding, windows, window beads, and screens are generally damaged as well. Asphalt shingles are manufactured with a seal tab. This tab can become broken during high winds. The damage that may exist could be displaced shingles, seal tabs lifted, and flying debris could gouge the roof surface. If any of these wind effects have occurred, you may be due a complete new roof replacement. Let a professional check your roof! The contract price will be equal to the amount of money allowed by the insurance company and never greater than that amount. In some cases, Texas State Roofing Company, LLC’s standard pricing is greater than the insurance company will allow. We use an independent pricing guideline that provides industry standard “fair market value” pricing for all areas of the United States, and is recognized by most insurance companies. In the event the roofing company you wish to use bids an amount higher than the insurance company allows, you may be required to get three bids and submit them to your Adjuster for their consideration. The insurance company may increase the amount to be paid based on the submitted bids or may encourage you to obtain other bids from companies that you do not want to provide construction services on your home. Proving an insurance loss is the responsibility of the insured. It is critical many times to contract with a roofing professional prior to an insurance adjustor evaluating the roof. The insurance company adjustor is not required to find damage, just because you experienced hail or wind or your neighbor experienced storm damage. A representative of Texas State Roofing Company, LLC. will meet with your insurance adjuster on the roof and identify all storm damage in order to assure the most favorable decision. 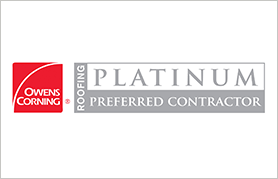 There is no cost for this service as long as you have signed a contingent contract with Texas State Roofing – contingent on Texas State Roofing getting the insurance company to pay for your new roof. Contracting for insurance proceeds allows us to offer our professional expertise at no additional cost. known before signing a contract. Texas State Roofing Company, LLC. assumes any pricing risk involved in the installation of your new roof or other repairs. You know exactly what your expense will be. Texas State Roofing Company, LLC. understands the entire insurance process and is willing to work with the insurance company for you. Texas State Roofing will complete the paper work for recoverable depreciation, obtain endorsements from mortgage company’s on insurance proceed checks, file supplemental claims when necessary and most importantly, wait for the insurance company payment. Once a roof is substantially complete, a payment equal to the actual cash value and deductible is due. Final payment is not due until all insurance proceeds have been received by you. If you have signed a cash contract, no payments are due until the work is complete. All payments are subject to your contract terms. Choose a reputable and professional contractor. In the event your insurance carrier has determined you have a valid claim and you have your check, you have the opportunity to interview various contractors and receive competitive proposals. It is imperative that you base your decision not only on the value received, but also the reputation and professionalism of the contractor. Fair and responsible pricing. As we all know, there is always someone who will do it cheaper. Texas State Roofing Company, LLC. does continuous cost information sharing with the insurance companies and is always aware of current pricing. Insurance companies do continuous research in the ever-changing costs for repair and replacement in order to pay the lowest and fairest cost to their insured’s. The insurance company expects you to use a professional quality contractor that can do repair and replacement in a timely manner, pay all bills promptly to avoid material and mechanic liens, provide quality communication and service during the process, and ultimately warrant all work. Insurance proceeds typically provide sufficient compensation for a professionally managed contractor to provide proper service to its clients. As most insurance carriers initially pay the actual cash value, recoverable depreciation is only paid up to the actual amount of the contractor’s invoice. Why sacrifice having a quality, conscientious, and professional contractor who will be there when you need him in order to save the insurance company a few dollars? Repairing damage to your property with equivalent material and quality is required and expected by your insurance carrier and mortgagor, if applicable. Utilizing the insurance adjustment to define the scope of work insure proper replacement and repair. The insurance adjustment, along with the contract, defines the scope on the project. When having work done on your home, it is imperative that you know exactly what will be done and how much it will cost. Often, when making repairs to a storm damaged home, other necessary repairs, additional work and their associated expenses can become apparent after the work has begun. In most cases, when working for insurance proceeds, Texas State Roofing Company, LLC. can contact the insurance company adjuster for supplemental claims. Under this scenario your out of pocket expense will usually never change. After damage has been confirmed by a professional Texas State Roofing Company, LLC. Representative, call your agent and request an adjuster come to review and estimate the damage with a Texas State Roofing Company, LLC. Representative. We are trained professionals and will insist on a fair and complete statement. After our initial meeting, the adjuster will determine a “fair market value” to repair the damage to your home. This value must include the rising costs of labor, materials, and the transfer of materials that will be incurred. Texas State Roofing Company, LLC. will then complete all work on the property loss worksheet for the amount the insurance company allows. Texas State Roofing Company, LLC. will process all checks which require endorsements from your mortgage company. Sit back, relax, and let your professional staff work through the insurance process and re-roofing project with experience and dedication to customer satisfaction. IMPORTANT: Be sure a Texas State Roofing Company, LLC. representative is on site when the adjuster makes their initial visit. 5 Year expressed leak-free warranty on labor. Detailed written work orders on material and labor specifications. 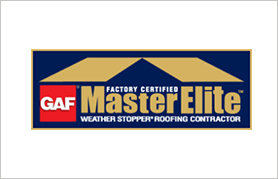 Trained crews who will install your new roof to manufacturer specifications and repair any other storm damage to your property. Fully staffed office for proper insurance billing to include itemized invoices and processing for mortgage company endorsements. Pay your final bill only upon satisfaction. A trusted name in Texas. With an insured loss the insurance company will pay up to their settlement figure as long as you provide an invoice under the company’s guidelines. If you choose a company that gives you a low estimate, and provides standard work, the insurance company will pay only the amount of the low estimate. If you choose a quality-conscience company that will provide the best roof using quality materials, and up to date roof accessories, the insurance company will pay their final bill, as long as it does not exceed the adjuster’s estimate. In other words, whether you get a cheap roof or a roof with all of the accessories by a quality company, your cost is only your deductible. The bitterness of poor quality is long remembered after the sweetness of a low price. 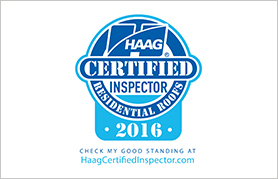 Call today for your FREE NO OBLIGATION INSPECTION AND ESTIMATE!